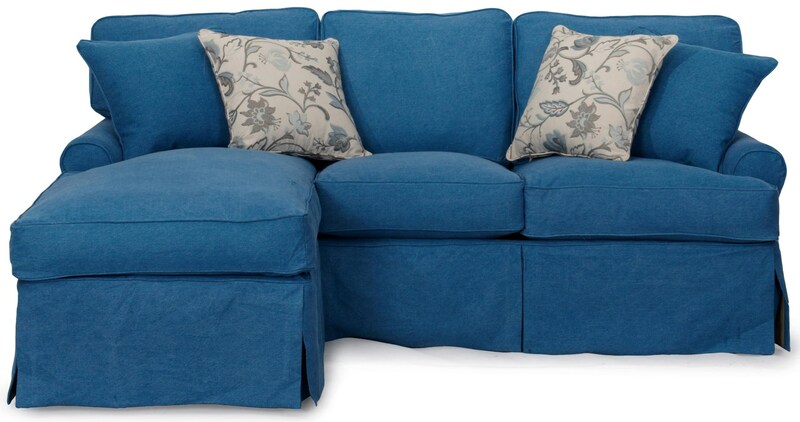 Enjoy the versatility of this sofa with a chaise and a convenient sleeper for hosting guests. With rolled arms and simple skirt that is ideal in a transitional to cottage to coastal style decor. Four throw pillows complete the sleeper chaise. The 1176 Queen Sleeper Sofa with Chaise and Skirt Base by Sarah Randolph Designs at Virginia Furniture Market in the Rocky Mount, Roanoke, Lynchburg, Christiansburg, Blacksburg, Virginia area. Product availability may vary. Contact us for the most current availability on this product.